Rock these cuties with a pair of high waist jeans, crop top and a moto jacket for a chic look. 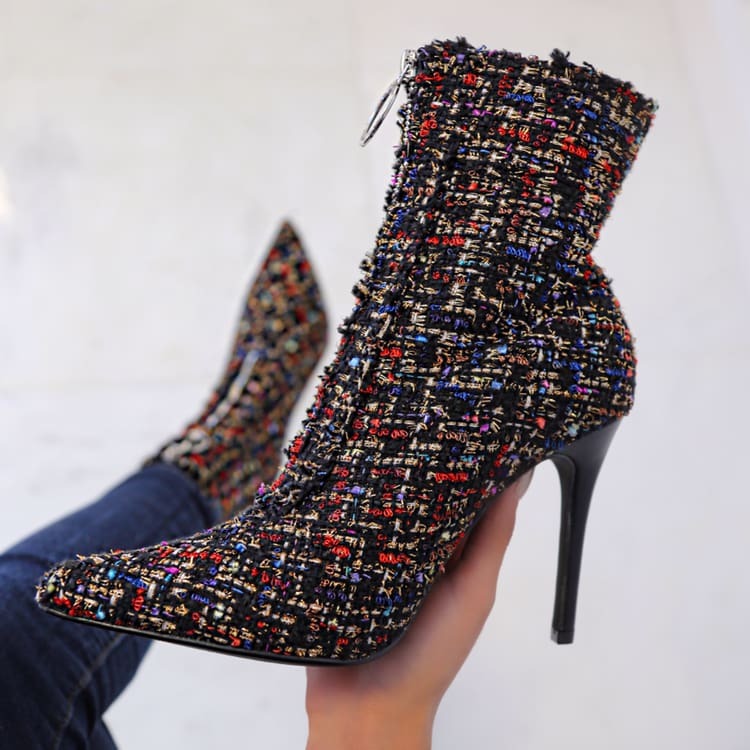 The features include a bold color with a tweed fabric, high polish o-ring decor, pointy closed toe, front zipper closure followed by a cushioned footbed. Approximately 4 1/4 inch heel.